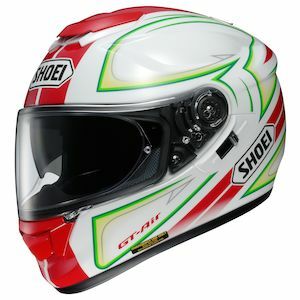 When looking at the upper-echelon of motorcycle helmet manufacturers, Shoei is one of the names that is on everyone’s list. 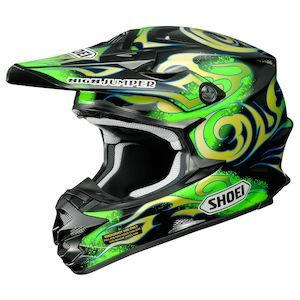 Few brands out there have become so synonymous with their craft as has Shoei with motorcycle helmets. With deft precision and laser-guided focus they have put in innumerable hours of research and development in pursuit of providing riders throughout the world with the very best in cranium containers for their time on the road. 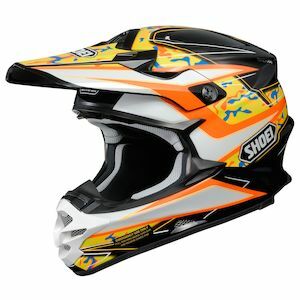 Regardless of your riding style, from the track to the dirt trail, Shoei has something for you. Oh yeah, and speaking of style, they also have some of the most noteworthy motorcycle helmet graphics in the game. With the 2016 Shoei Helmets lineup, this range of graphical options is on full display. Crafted with the same care as the structural elements of the helmets themselves, each Shoei graphic has been thoroughly thought out in an attempt to convey a unique aesthetic for riders of all different tastes. Whether you prefer the visual vibrancy of Shoei dirt graphics, or the more refined touch that can be seen in many of the Shoei street helmet graphics, the 2016 additions are here to further expand the offerings from one of the most preeminent motorcycle helmet manufacturers in the world.